You already know that a 3rd offense DUI is serious, so there’s little point in going on and on about that. Chances are, however, that if you’re facing a 3rd offense OWI, even though it is a felony, it isn’t nearly as bad as you may fear, especially here, in the Tri-County area. If there’s one thing I hate, both as a lawyer and as a consumer myself, it’s fear-based marketing tactics, and I want this article to stand in contrast to the general practice of trying to scare the hell out of you. 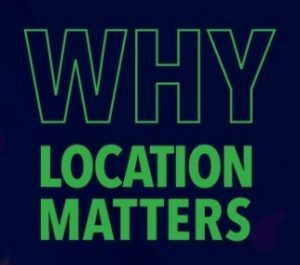 Instead, I want to look at 2 important factors that, more than just about anything else, will influence what happens: location, and BAC results. Let’s begin with the obvious: a lawyer should carefully examine everything to see if there is some way to beat the case; my team and I certainly will. In my office, for example, it’s standard practice to obtain the police car dash-cam video in every DUI case that comes in. While you certainly won’t find anything wrong with the evidence unless you look for it, the simple truth is that the police usually don’t screw things up catastrophically, anyway. Thus, when the evidence is strong enough to withstand a legal challenge, we negotiate a plea bargain that reduces a 3rd offense felony down to a 2nd offense misdemeanor, or at least work out a more lenient sentence agreement that shines like a bright light at the end of a dark tunnel. I want to be clear that while there are geographical and practical considerations to what and how things get done, even in what might seem the most clear-cut, true 3rd offense drunk driving cases, typical sentences in Oakland, Macomb or Wayne County are measured in days, not months, and certainly not in years. To clarify, a “true” 3rd offense means a person only has 2 prior DUI convictions in his or her lifetime. Since there is no higher OWI charge than “3rd offense” in Michigan, even a person with 12 prior drunk driving convictions can only be charged as a 3rd offender if he or she is arrested for number 13. Everyone knows that a 3rd offense DUI is a big deal. In this short article, I want to go beyond most of the legal and technical stuff and examine one simple, but important aspect of these cases: the where factor. Here, in the Tri-County area of Oakland, Macomb and Wayne Counties, where you get a DUI has a huge impact on how your case will play out, especially if it’s a 3rd offense, felony charge. 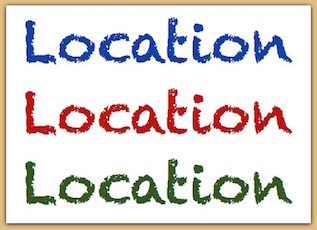 I have examined many other facets of 3rd offense cases in my other DUI articles on this blog, so our focus here will be on the importance of location of a 3rd offense case really is, especially when we’re comparing Oakland, Macomb and Wayne Counties, where I practice. To be sure, this is a deep subject, and it would be easy to do a many page, multi-part summary, but that’s exactly what we’re NOT going to do. In order to really appreciate the influence of geography on 3rd offense drunk driving charges, we first need to sort out a few things. 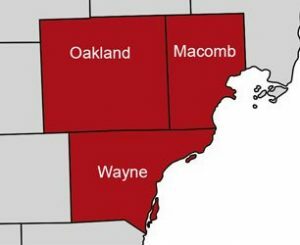 There is a general notion that of the 3 local counties, Oakland County is the “toughest,” Wayne the most lenient, and Macomb, somewhere in-between. There is some truth to this, but it’s not entirely accurate, particularly as it applies to 3rd offense drunk driving cases. As a DUI lawyer who specifically concentrates his representation in Oakland, Macomb and Wayne Counties, these differences are important to me every single workday. Any notion of which place is tougher versus more lenient must really account for 2 key factors that underlie every DUI case (and every criminal charge, for that matter): the prosecutor and the Judge. If you’re familiar with the greater Detroit area, then you know there is a kind of unique “vibe” to each of the 3 counties. This “vibe” is reflected in the bench of each county, meaning the aggregate of its sitting Judges. This can become something of a chicken or the egg debate, but what really matters is that, as a group, the Judges in any particular county are largely a reflection of that county. The county prosecutor, however, is also a key player in all this. Whereas each of the local counties is made up of numerous district and circuit Judges, every county has only 1 elected prosecutor, and that person determines all the policies for how things are done and what kind of breaks (or not) can be given in all criminal cases. The interplay of these 2 factors – the Judge and the prosecutor – has everything to do with what ultimately happens to anyone facing a state-charged DUI. All 2nd and 3rd offense DUI’s are brought by the state, and, depending on the arresting agency (like the Michigan State Police), some 1st offense charges are state cases, as well. Thus, it will ALWAYS be the county prosecutor behind 3rd offense, felony charges. Most of the DUI cases I handle are in Oakland County. Because I am a local, Detroit area DUI lawyer, that’s not surprising. In this article, I want to examine OWI charges in the district courts of Oakland County, and some of the things that are different here when compared to Macomb and Wayne Counties. This is the kind of subject that could be examined to death, so I’ll focus on the major points to keep this installment short. The courts of Oakland County have a reputation for being “tougher,” and in general, that’s a fair assessment. I point this out first, not because I want to bash Oakland County (it’s where I live), but rather because it is the most significant and talked about facet of cases here. In fact, because my practice takes me in and out of all the local courts, I am in a great position to compare and contrast how things are done within the different sectors of the larger, Tri-County area. It’s probably fair to define a DUI lawyer by virtue of where most of his or her cases are handled. On average, I handle about 5 or 6 local DUI cases each week, along with another 6 or 7 driver’s license restoration appeals (the result of multiple DUI convictions). Most weeks, I spend more time in the district courts of Oakland County than I do in the courts of both Macomb and Wayne Counties combined. Although I would prefer to be identified by a more inclusive term like “Detroit-area DUI lawyer,” if I had to pick a description with just one locale, it would be Oakland County DUI lawyer. What’s important about that is that it means, as it should, that I know how things are done here. I know how the Judges operate, the things that will and won’t fly with each, and what kind of ideas will cause some of them to lose patience. In many of my DUI articles, I write about the importance of hiring a “local” lawyer. That doesn’t necessarily mean some lawyer whose office is down the block from the courthouse, but it does mean, at least here, one from the Tri-County, greater-Detroit area. I have no idea, for example, how things are done in Lansing or Grand Rapids. Even if I did take DUI cases from that far away, how many times do you think I’d be called on to go there? How much experience would I have in those courts that I could use to actually help someone make things better? It is always important that a lawyer be in a position to sell experience to his or her clients, rather than the client wind up paying what amounts to tuition for the lawyer to learn how things are done in some distant court. Because I confine my criminal and DUI practice to the courts of Oakland, Wayne and Macomb Counties, giving me extensive experience in these same courts day-in and day-out, week after week, I actually do sell experience rather than collect tuition. Being a Michigan DUI lawyer means that a primary focus of my practice is handling DUI cases (the other part is driver’s license restoration appeals for those whose licenses have been revoked for multiple DUI convictions, so they’re quite related). I differentiate myself even further by noting that I geographically limit my DUI practice to the Tri-County (Wayne, Oakland and Macomb County), Metro-Detroit area. Plenty of other lawyers claim to handle OWI cases as part of a larger practice. Whether or not that provides enough courtroom experience to be considered any kind of “DUI lawyer” is questionable, at best. 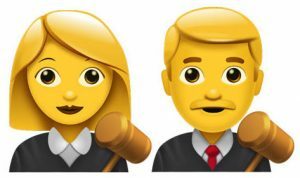 In this article, I want to address those situations where a non-lawyer starts digging around on the internet and starts thinking of him or herself as some kind of self-taught, quasi-expert. Someone may be great on Google, but that doesn’t make them a lawyer. My motivation for this article comes from any number of emails that I receive (and I’m sure plenty of other lawyers get them, as well) from people who learn a little about drunk driving laws and the DUI process, and then want to play lawyer, or co-counsel. To be brutally honest about it, those kinds of people are a royal pain in the a$$, and the only lawyers who deal with them are those that have to. In other words, confident and successful DUI lawyers don’t need to bother with them. 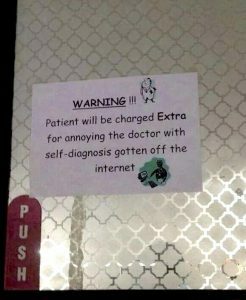 A physician friend of mine once posted a meme of a sign hanging on a doctor’s office door that read: “Warning!!! Patient will be charged EXTRA for annoying the doctor with a self-diagnosis gotten off the internet.” This really is a variation of the idea that “a little knowledge is a dangerous thing.” There is already a lot of work that goes into successfully handling a DUI case without a lawyer having to correct what a client half-understands. To be sure, I’m the first one to suggest a person “read around,” and there are some basic things a person should learn and know about DUI cases, many of which can be found online. Moreover, it is a good thing if a person reads and learns enough to have intelligent questions, but that’s a whole different thing than when someone starts looking for a lawyer to implement his or her own amateur, self-made legal strategy. Can you imagine going to a doctor’s office and telling the physician what to prescribe because you’ve done the research? Admittedly, I KNOW when I am in the early stages of having a sinus/upper respiratory infection (I’ve gone through this my whole life) and I also know that for the last 30 years or so, I have had success with a “Z-Pak” (Azithromycin), so in those situations I may have to tell a newer doctor about my history and that the Z-Pak has always worked for me. Still when I do go to the doctor’s office, I am often required to give a throat culture and wait for it to be checked to rule out strep, but I accept that as just part of the deal. Beyond that, however, I’m not about to play doctor, and, as a lawyer, have no interest in wasting my time with a non-lawyer who wants to play lawyer. 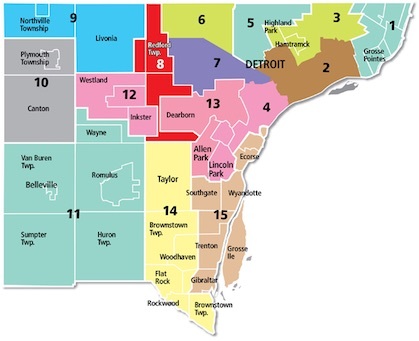 First, none of the district courts in Wayne County, from Harper Woods in the northeast to Plymouth/Canton in the Northwest, Woodhaven in the southeast to Romulus in the southwest, and points in-between, like Westland, Livonia, Wyandotte, Dearborn, are especially difficult places. 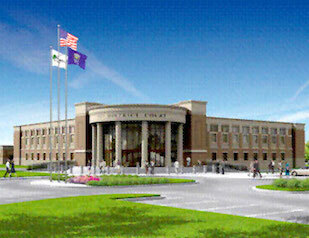 The Judges in all these courts are genuinely decent people, and that makes them welcoming to a DUI lawyer like me. In the northern suburbs, you’ll often hear conspiratorial whispers about this or that Judge being especially “tough,” but fortunately, none of that is really true for any of the Wayne County district courts. That’s not to say that these Judges are in any sense “easy” on DUI cases, but it does mean that there are no horror stories about the Judge from Hell to contend with here, either. One of the best things about the Judges in the various Wayne County district courts is that they are generally “down to earth.” I certainly always feel at home in these courts, although perhaps I just identify well with the prevailing mentality here, having myself been born and raised in Wayne County, on Detroit’s east side. More important than how I feel, though, is how things work out for the client, and I can honestly say that I have seen some of the best “judging” take place within the various courts in Wayne County. It’s a big county, and there are definitely different “vibes” depending on the location. The Grosse Pointes (City, Farms, Park, Shores and Woods), for example, are very different than the Downriver area, and both are as different to places like Dearborn and Dearborn Heights as they all are to Western Wayne County. Still, there is, fortunately, a cohesive “decentness” about all of these courts that means if you wind up facing a DUI anywhere within Wayne County, you’re doing pretty good, all things considered. Drunk driving gets a lot of attention in the media, so it shouldn’t come as a surprise that consequences are getting harsher, and not easier. This applies everywhere. Yet even within that larger trend, it has always been the case that certain jurisdictions are more forgiving than others in drinking and driving cases. 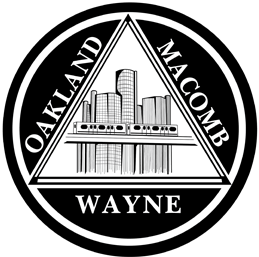 In the broadest sense, Oakland County is considered “tougher” than either Macomb or Wayne, and you won’t find a single practicing lawyer who disagrees with that. Certainly a few of the very toughest courts are located in Oakland County, but just a few days before this article was written, I was in an Oakland County court where my client was sentenced to a very short term of probation that was much less demanding than one could ever expect almost anywhere in either Wayne or Macomb County, so there is no hard and fast rule to any of this. Beyond this purposefully general observation, I’m not about to publish any kind of “rankings” about who’s tougher than who, and will save those discussions for the safer confines of the attorney-client relationship. Instead, we’ll stick to the larger point that in DUI cases, just like in real estate, the 3 most important things are location, location, and location. I characterize DUI cases as “accidents of geography” because no one ever plans on getting arrested for drunk driving in the first place, so no one plans their route to make sure that if they do get pulled over, it’s somewhere better, rather that worse. Instead, when a DUI happens, it just happens, wherever and whenever. Even so, I know that even I breathe a sigh of relief when I hear my client’s case is location I know to be “easier.” And let me be perfectly clear so that any Judge reading this understands; the idea of tougher versus more lenient, or one court somehow being “better” than another has nothing to do with judicial ability or integrity. Instead, it is natural and understandable for a DUI lawyer to view things from the perspective of his or her client, and unless you’re some kind of masochist, it’s just human nature to want less consequences, rather than more. I’m sure every single Judge out there thinks his or her way of handling these cases is the best (in much the same way that every Mexican restaurant owner probably thinks his or her salsa is the best), but the simple fact is that to anyone going through a DUI, less is ALWAYS more, and therefore always more preferable. If you could eavesdrop on any of the phone conversations I have with other lawyers about drinking and driving cases, it is just expected, and taken as a given, that any discussion about a specific case will at least begin by explaining where it is pending. I’d imagine that when emergency room physicians compare notes, it is important that they clarify what brought the patient in, like an automobile accident, gunshot wound, or sports injury. 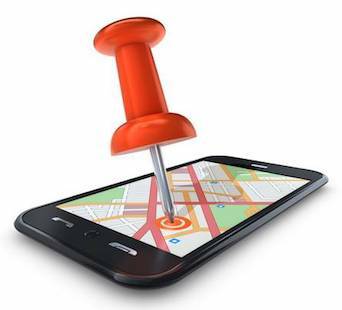 In the world of DUI’s the “where” is really the foundation of the case. 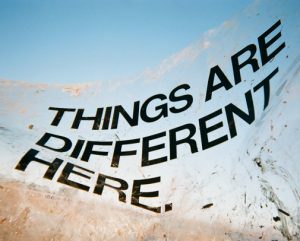 Thus, you would hear a story that begins like, “I had this one case the other day in Sterling Heights,” or “I had this one guy in New Baltimore” (or Shelby Township)…” When Lawyers discuss DUI cases, they more often first talk about the court in which it is pending or the Judge to whom it’s assigned rather than the specific details of the case, unless they are highly unusual, and even then, it clarifies things to examine the case within the context of its specific location. As a busy Michigan DUI lawyer whose drunk driving practice focuses on Oakland, Macomb and Wayne Counties, one of the busiest places I go to is the 52-3 district court in Rochester Hills. Beyond cases arising in Rochester and Rochester Hills, his 3-Judge facility handles all the criminal and DUI matters for 9 other municipalities, including Addison Township, Auburn Hills, Lake Angelus, Oakland Township, Orion Township, Oxford Township, Village of Lake Orion, Village of Leonard and the Village of Oxford. When you just skip over the township and village designations, it only makes sense that any court covering thriving places like Auburn Hills, Lake Orion and Rochester handles a lot of drinking and driving cases, and this court certainly does. This is a tough court. The reader is almost certainly here because either he or she is facing a DUI, or is looking for relevant DUI information on behalf of someone close. However one gets to this blog, it has been a cornerstone of my writing to try and provide useful information. To start any discussion of Rochester Hills 52-3 district court without first acknowledging that it is widely known as “tough” is to ignore reality to such a degree that anything said thereafter is essentially useless. If you’re facing a DUI charge in this court, you are going to have some work to do. The good news is that this court has no “policy,” or even practice, of sending anyone to jail in 1st offense drinking and driving cases. Moreover, as far as any notion of jail goes, this court is not, by most standards, in any way excessive about it, even in 2nd offense DUI cases. Probation, however, is a big thing in this court, and you’d be hard-pressed to find a probation department, anywhere, that has a stable of probation officers with nearly as much education as those on staff at the 52-3 district court. And while that means your probation officer will definitely be smarter than the average bear, it also means that you’ll be expected to comply with all conditions of bond and probation as ordered by the Judge, and for what this court doesn’t hand out in terms of jail, it tends to make up with heavy duty probation. Even so, the good news is that amongst the 3 Judges, Julie Nicholson, Lisa Asadorian and Nancy Carniak, there is no “meanness.” None of these Judges has an axe to grind, but merely the very reasonable expectation that DUI drivers don’t become repeat offenders.